Inconsistent care practices adversely affect outcomes, patient safety, performance measures and cost. Care teams rely on advanced clinical practices to reduce care variability and ensure they’re providing clinically effective care. Clinical healthcare variation has been a topic of discussion and analysis since the early 1970s, when studies started highlighting geographic differences in cost and outcomes. Despite the widespread acknowledgement of care variations, current studies still report these inconsistencies, with costs estimated at between 14-16% of total healthcare spend in the United States. What has changed in the intervening 40 years? We now have the know-how, technology, and the sense of urgency to reduce variability and work toward standardization of care. So, if the evidence of waste is proven, and we have the knowledge to address it, why haven’t we made further strides to achieve clinical effectiveness? In the years since that first report, clinical research has identified both the causes and costs of care variations, along with potential health solutions that can improve quality and eliminate clinical waste. A pivotal piece of research, Eliminating Waste in US Health Care, by Donald M. Berwick, MD, MPP and Andrew D. Hackbarth, MPhil, revealed that waste in clinical care occurs when: (1) patients fall through the cracks in a fragmented system; (2) they are subjected to care that, according to evidence and the patients' own preferences, cannot help them; and (3) the clinical choices that patients and providers sometimes make aren't justified by available knowledge and experience. In fact, unproven treatments amount to trillions of dollars globally, stretching health systems already strained beyond their limits. 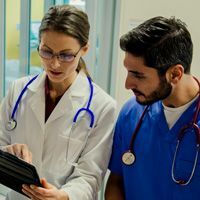 Although it’s been widely accepted that evidence-based care is crucial, it’s equally important that healthcare organizations make required changes systemically – that is, across care teams and care settings – in order to change deeply-rooted behaviors. Not only among the clinical staff, but among patients themselves who have a role to play in understanding their care choices. Take the example of an older American man who has been diagnosed with early-stage prostate cancer. Cancer of the prostate gland is a common disease that is associated with aging. While most prostate cancer is slow-growing and not likely to cause harm, some men will develop aggressive disease that causes death. Estimates vary, but a typical assessment is that one out of ten men has the disease in some form by age fifty. What’s not so “typical” is the treatment. The man has up to four times higher likelihood of having his prostate surgically removed in some regions of the United States than in others, where watchful waiting might be recommended. Yet, clinical research shows that outcomes for the two approaches would be the same. The care patients receive should not vary based on the healthcare system, where they reside or the doctor they see. When there are choices available and a clinician knows which approach optimizes outcomes, the treatment plan should not be a matter of chance. The goal is achievable. It’s already being accomplished. But a challenge lies in bringing scale to those efforts so that clinicians and patients can optimize their decisions. Hospital admissions rates are twice as high in Australia, Germany, and Israel than in Canada, Portugal and Spain. They also vary by two-fold or more across geographic areas of a country. Knee replacement rates are up to four times higher in Australia, Switzerland, Finland, Canada and Germany than in Israel. They also vary across geographic areas of a same country, often by two- to-three folds and up to five-fold across Canadian regions. These variations are influenced by physicians’ practice styles and socio-economic characteristics of the population. The probability of giving birth by c-section is 50% higher in Italy, Portugal, Australia, Switzerland and Germany than in Finland, even after adjustment by the age of the mother. Variations in c-section rates are particularly large across Italian provinces (up to six-fold). C-section rates are higher in private settings and for women with higher economic status. Cardiac procedures vary by more than three-fold across countries and have the highest level of variation for more than half of the OECD 35 member countries, which span North and South America, Europe, and Asia-Pacific. They are particularly high for coronary bypass in Spain and Portugal. Revascularisation procedures are lower among people living in regions with low density, low level of education and low-income. The prevalence of hysterectomy is 75% higher in Canada and Germany (350 per 100,000 females) than in Israel, Spain, Portugal or the Czech Republic (less than 200 per 100,000 females). Most countries have two- to three-fold variation across geographic areas, but the variation is around four-fold in Canada and the Czech Republic. Hysterectomy is more frequent in women with low- economic status, especially when physicians have greater discretion. View our video and learn more about the building blocks of Advanced Clinical Decision Support and the ability to provide consistent, evidence-based information across the continuum of care. 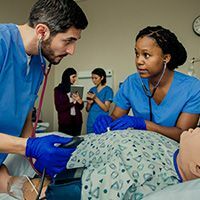 Nurse educators are leading the charge when it comes to adopting new technologies. Healthcare associated infections have posed one of the most prominent global health challenges to the worldwide medical industry in many years.